MHRA are revealing a different fact about the issue of fake and unlicensed medical products every day in December leading up to Christmas. MHRA has created the FakeMeds advent calendar this December to tie in with their ongoing campaign to raise awareness of the risks of fake and unlicensed medical products sold online. A new festive animation is being posted every day on the calendar, which you can view here and across MHRA’s social media channels (Twitter, Facebook). Behind each door are Christmas-themed messages about the kinds of products MHRA seize, warnings about potential health risks, or advice on how to buy safely and report suspected fakes. The 3 year FakeMeds campaign launched in August 2016 with a focus on fake and unlicensed diet pills. MHRA remove thousands of potentially deadly unlicensed slimming medicines from the black market every year. MHRA has closed down over 5000 websites in 2016 for selling medical products illegally. We continue to target scam sites and criminal gangs. Future phases of the campaign will focus on other products such as condoms and STI self-test kits, and a new website is planned for early 2017 with detailed consumer information about the issue. 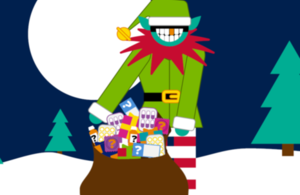 “The FakeMeds advent calendar is a seasonal way of drawing attention to the different aspects of falsified medicines. You can view a short video that we shot with celebrity Doctor Radha Modgil to explain the FakeMeds campaign for day seven below.